On the eve of Security Council deliberations on Iraq, I would like to draw your esteemed attention to the perilous and vulnerable plight of Camp Liberty residents near Baghdad International Airport where 2000 members of the opposition People’s Mojahedin Organization of Iran (PMOI/MEK) reside and to request binding decisions by the Security Council on this matter. 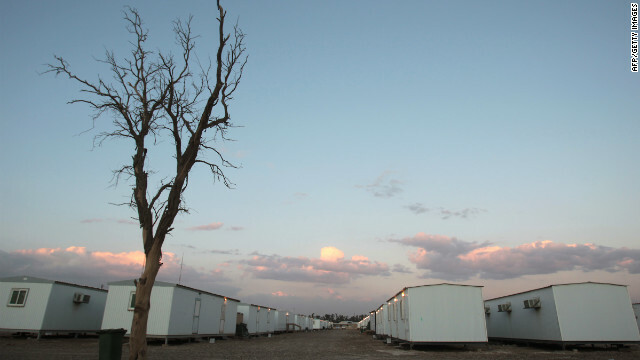 While a UNHCR report indicates that just one-third of the residents has been resettled and around 2000 are still living in Camp Liberty, the minimum security provisions for the residents have not been provided following the October 29, 2015 massacre in this camp. In that attack, twenty-four residents were killed and a significant section of Camp Liberty was destroyed. During this period, endeavours by the residents and their representatives for the return of the protective concrete T-walls for the containers only led to the return of 1000 T-walls (a mere 6% of the T-walls available) with the transfer of the remaining T-walls halted by orders from Faleh al-Fayyadh, the National Security Advisor who is a left-over from the Nuri al-Maliki’s government. During the stationing of Americans in this camp, the containers which currently house the residents were protected by no less than 17,500 T-walls. Iraqi forces also obstructed the transfer of residents’ protective gear such as helmets and protective vests from Ashraf to Camp Liberty. Moreover, relocating of small 2×2m concrete bunkers from destroyed sections of the camp to other sections where people have been cramped has also been prevented. On 25 January 2016, in a collective letter to the Special Representative of Secretary-General for Iraq Mr. Ján Kubiš, the residents wrote, “Earlier, on 11 January 2016, the crackdown committee stopped the process of installing protective blast walls and relocating concrete bunkers from the camp’s destroyed areas to new locations where the residents have no shelters. All these developments, especially the transfer of Iranian regime agents to Liberty’s gate, leave us in no doubt that Faleh al-Fayyadh is continuously pursuing the demands of the Iranian regime in imposing psychological torture, crackdown and killings against us”. “We are the residents of Section 5 in Camp Liberty. We are writing to you to express our concern regarding the halt of the process of installing T-walls in the camp. The dining room in Section 5 was on the list to receive T-walls on its perimeters. But, due to the rain and the soft ground around the dining room, the machinery postponed their work until the ground was dry. “Today, without prior notice, we realized that the management committee of the camp had ordered the contractors to stop their work and move their machinery outside the camp. It is quite clear for you that the purpose of halting the process of installing the T-walls is nothing but to leave us absolutely defenseless in future missile attacks. Needless to say that in previous missile attacks, we lost a number of our friends and some were injured. “Today, for the third consecutive day, the agents of the Ministry of Intelligence and the Quds Force who function under the guise of families of the residents have been transferred to Camp Liberty. They have been placed in a location closer to the place of the residents where they have an overview on the camp. Their objective is to collect more accurate information for future attacks on the one hand, instigating and creating commotion and bloodletting to set the stage for further attacks on the other. By the end of 2015, more than 1,100 residents will have been relocated to a situation of safety in third countries. This represents more than a third of the residents registered by UNHCR. By the beginning of 2016, it is expected that fewer than 1,970 residents will remain in the TTL. The situation with relocations is at its most buoyant since efforts began. Almost half of all relocations have taken place in the latter half of 2015. These outcomes have been achieved with the cooperation and flexibility of the residents who have proceeded with the relocation process despite difficult circumstances, including rocket attacks on 29 October 2015 which resulted in the deaths of 24 residents and injuries to dozens of others. UNHCR strongly condemned the rocket attacks; the High Commissioner for Refugees, António Guterres, stating: “This is a most deplorable act, and I am greatly concerned at the harm that has been inflicted on those living at Camp Liberty. Every effort must continue to be made for the injured and to identify and bring to account those responsible. Central to the recent success is the residents’ commitment to meeting the bulk of costs associated with relocations to Albania. This commitment to meet travel costs and living expenses is crucial to the ongoing implementation of solutions for the group. In 2016, so far (February 15), 42 residents have been transferred to Albania. Endeavours to expedite this process are under way and we hope with the support of the Security Council this process would be ensured. A fundamental problem in the process of resettlement is the financial aspect. As stated in the UNHCR report, PMOI and the residents have paid all resettlement expenses, including transfer, residence and living expenses in Albania, for the entirety of 2015. UNHCR has only shouldered the cost of transfer of around 20% of the residents in 2015. Had the Iraqi government allowed the PMOI and the residents to sell their property in Ashraf that amounts to $550 million or had they been reimbursed for it, they could have easily shouldered the resettlement expenses for all residents and could have even expedited the resettlement. Regrettably, however, the Iraqi government refrains from doing so. The Security Council can help by calling on the Iraqi government to recognize the sale of this property as a basic right of the residents. The agents of the governmental committee tasked to suppress Camp Liberty residents continue with their restrictive and suppressive measures targeting residents. 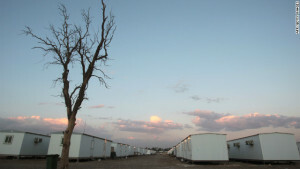 Camp Liberty file is overseen by Faleh al-Fayyadh, Iraq’s National Security Advisor, and the Camp’s affairs are managed by Sadeq Mohammed Kadhim; both directly involved in the massacre of the residents in Ashraf. NCRI Statement of November 11, 2015 states: “The Governmental Committee tasked to suppress Camp Liberty residents prevented entry of fuel, generator engine oil, and material needed to waterproof damaged trailers’ roofs on Tuesday, November 10. Similarly, yesterday, vehicles rented by residents to discharge black water tanks were not allowed into the camp. These antihuman measures are being implemented by the suppression committee under Faleh Fayyad, Iraq’s national security advisor, to intensify Liberty’s blockade that initiated on October 29 in tandem with the missile attack. (7) assist the United Nations High Commissioner for Refugees in expediting the ongoing resettlement of all residents of Camp Liberty to safe locations outside Iraq. By convening an impartial international delegation, the seven massacres of residents in Ashraf and Liberty, especially the September 1, 2013 massacre in Ashraf and the October 29, 2015 slaughter in Camp Liberty, and the 7-year siege of Ashraf and Liberty, should be investigated and the perpetrators of these atrocities should be identified and brought to justice.